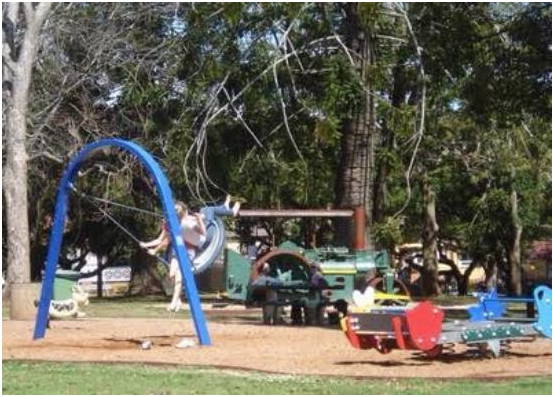 It has lots kids play ground as well as many early single individual trees also remain, among them Bottle trees, Bunya pines, Chinese elm, Cricket Bat willow, English oak, Himalayan pine, Jacaranda, Norfolk Island pine, Plane trees, Kauri pine, Silky oak, Silver maple and Swamp cypress. The Botanic Gardens is characterised by a more formal layout and planting, with large trees surrounded by garden beds in geometrical patterns, hedges and avenues. The focal point of the Gardens is the Thomas Memorial which sits in the middle of a large circular bedded area, more open than other areas of the Gardens. Adjacent to the Thomas Memorial in this area is a small cannon. Walks in the garden are gravelled and usually bordered by narrow flower beds, its great place for family day out. 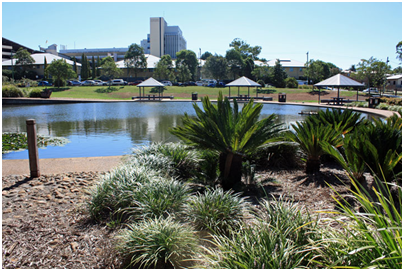 Adjacent to the Toowoomba Base Hospital on Toowoomba’s West Creek and in proximity to the city center, Clewley Park is an inner city oasis. Main vehicle entrance is via Water Street. The park has two distinct areas divided by West Creek and connected by a bridge. The Pechey street side features a large central pond with Lilly pads and a bridge, gardens, birdlife, playground equipment, barbecue and picnic facilities, toilets amenities, walking and cycling paths, and large open areas. The Water street side features barbecue and picnic facilities, toilet amenities, off-street parking, Parkour play equipment, walking and cycling paths and large open areas which are popular for kick about activities. 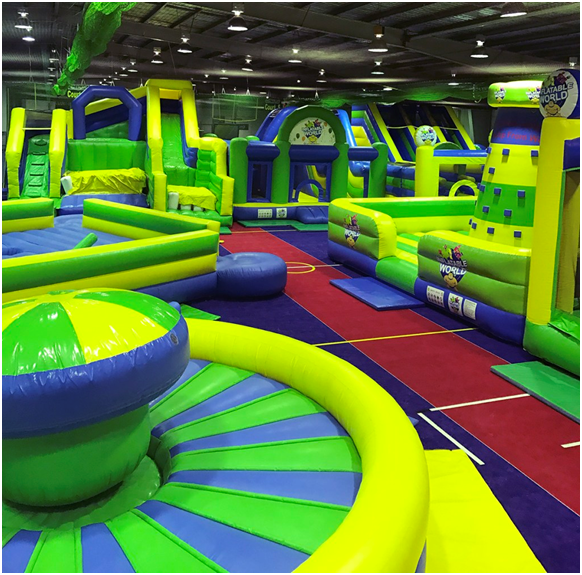 It’s all about having fun, so bring the whole family and bounce on in to Inflatable World. It’s not just for the kids – they encourage the parents to have fun with their children. You can play on the inflatable activities as many times as you like during the 2 hours session. 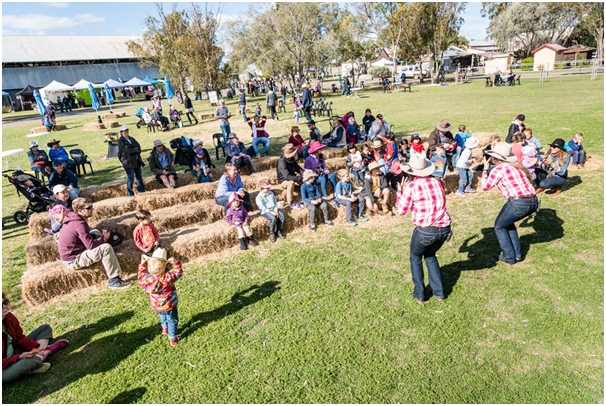 The heritage-listed Woolshed at Jondaryan is the oldest and largest operating Woolshed of its kind in the world with over 150 years of history. They have school holiday activities, so bring your kids, everybody goes to having fun. 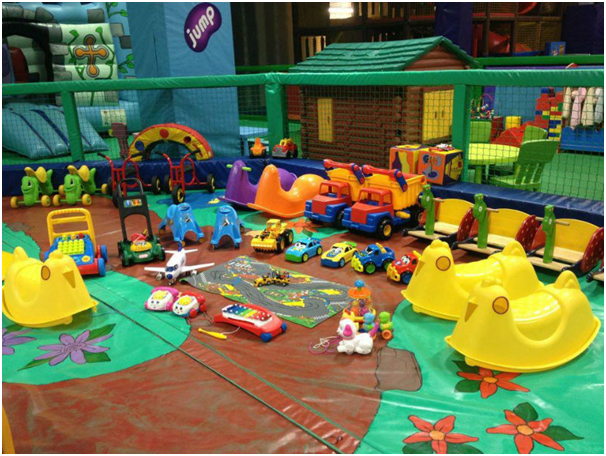 This place is for parents, grandparents and friends to relax and enjoy some time, while the children play in safe and child friendly environment. Locally owned small business, it has a full menu of morning tea, lunch and afternoon tea options, and can cater for special diets when requested.